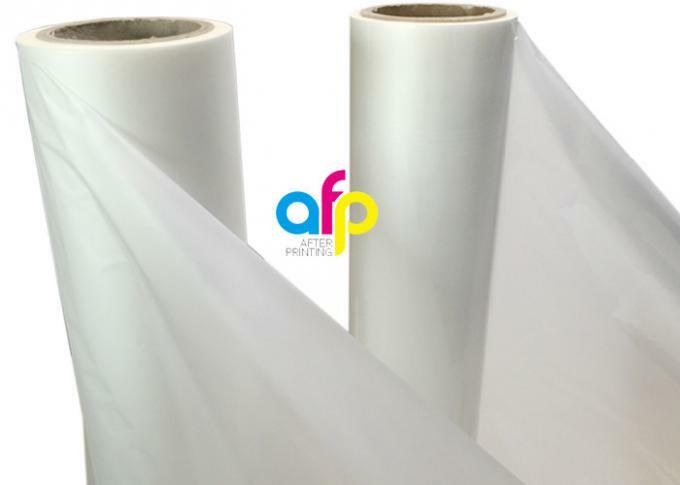 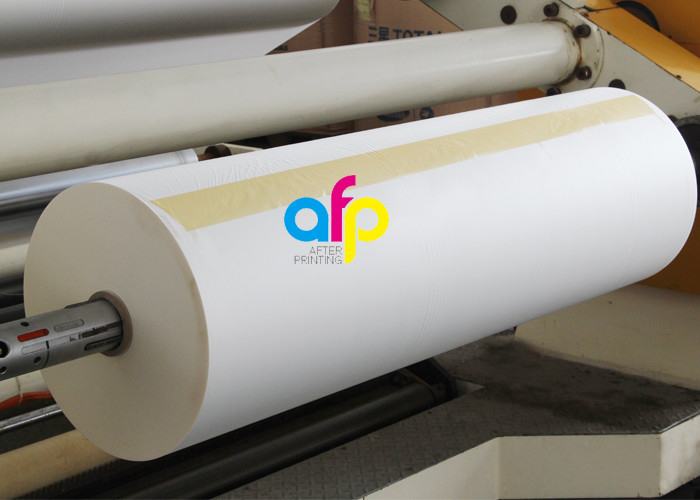 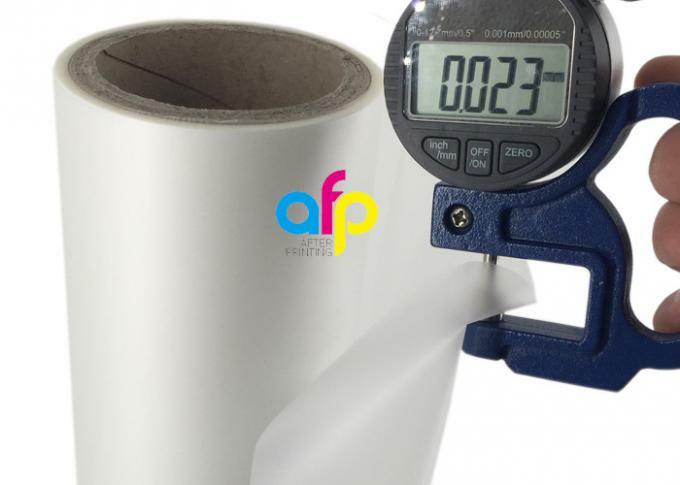 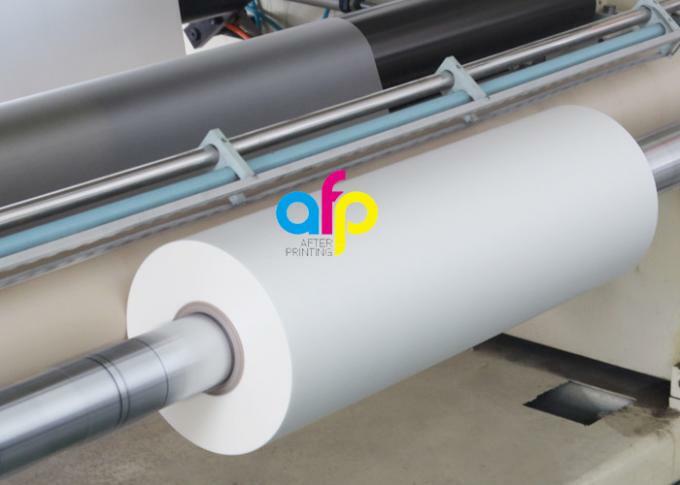 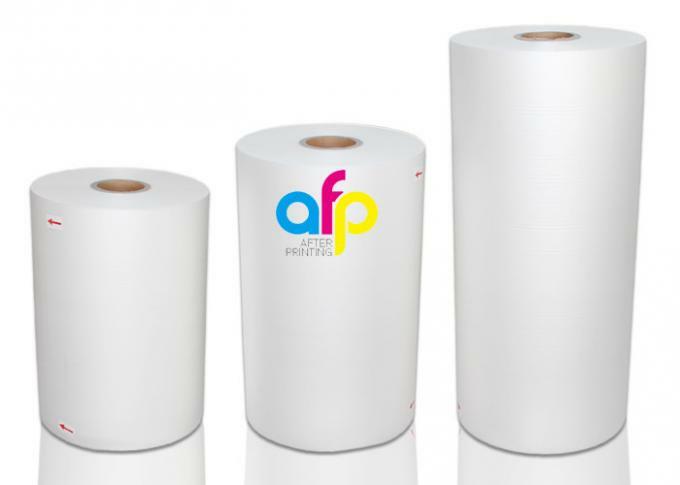 BOPP Matte Thermal Laminating Film is BOPP film coat with EVA glue, thickness range from15mic to 30mic. 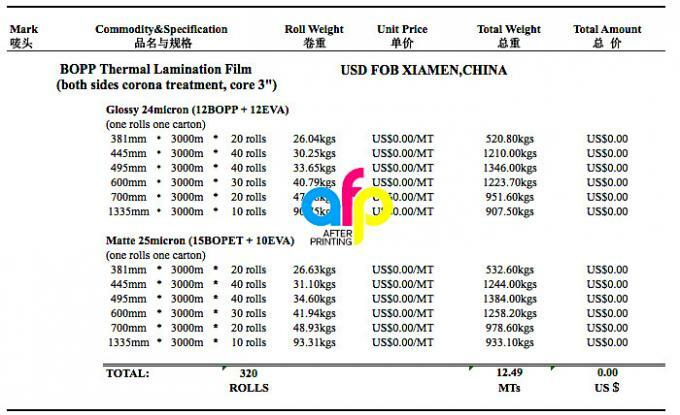 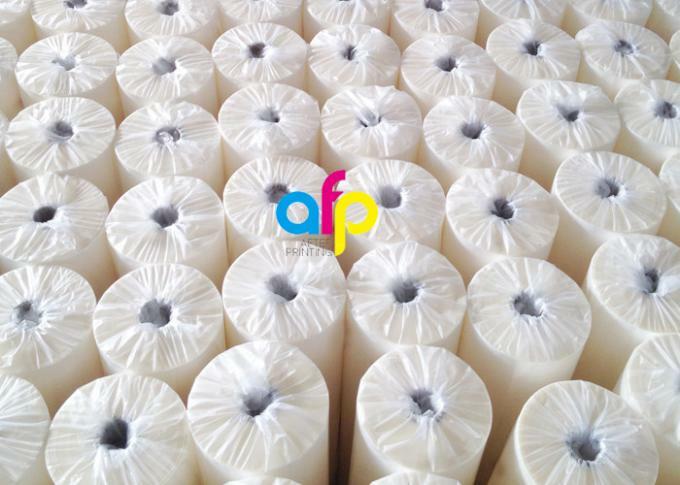 180mm to 1880mm roll width and 300m to 6000 roll length is usually range, paper core with 1 inch(25.4mm) and 3 inch(76mm) as client required. It's widely used for laminating with paper to packing and printing. 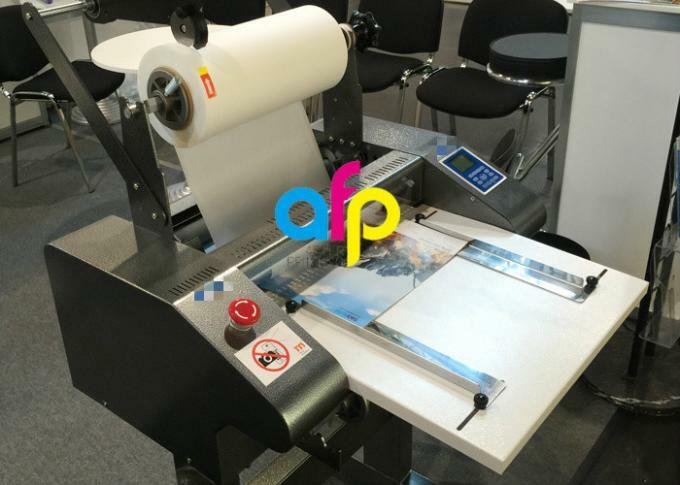 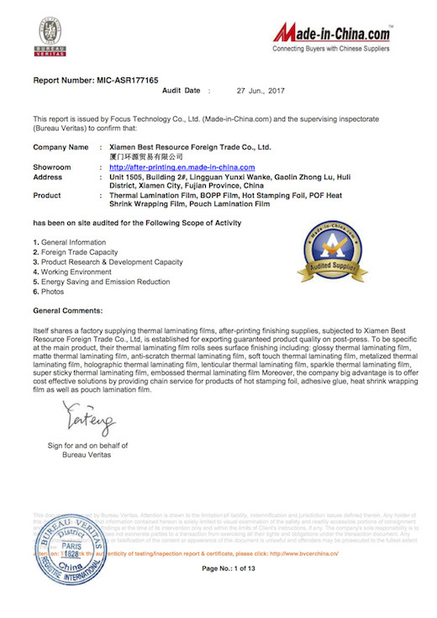 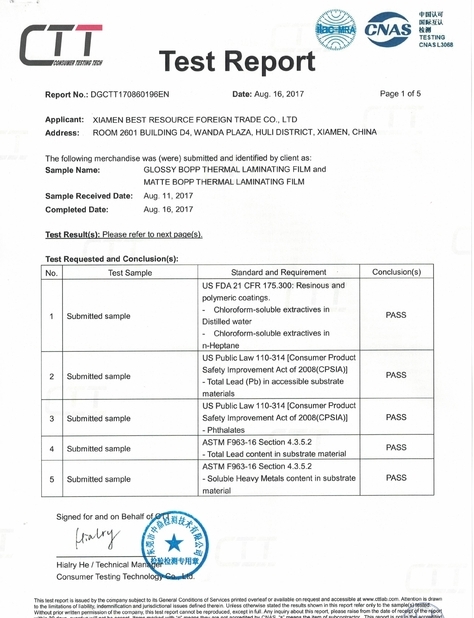 It has seeing high transparency and excellent rewinding, nice performance at UV varnish with double corona treatment valued above 42dyne.